unusual diamond white and rose gold engagement ring. 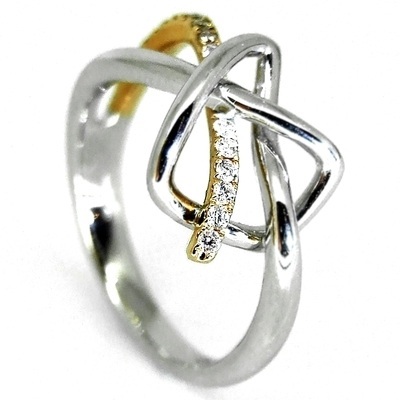 Entwined in Rose, unusual diamond white and rose gold dress/engagement ring. 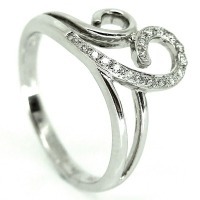 18ct white gold unusual diamond ring which uses a continuous piece of gold to form a heart shape. An extra piece of 18ct rose gold pulls out of the band and through the heart. This piece of rose gold is lined with diamonds. 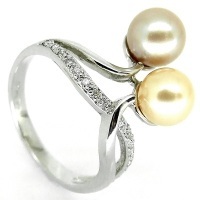 This adds colour and sparkle to an already stunning ring. The perfect unusual diamond engagement ring.